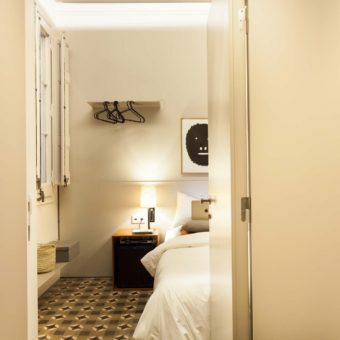 They say good things come in small packages and this can be said of this 9sqm single room. 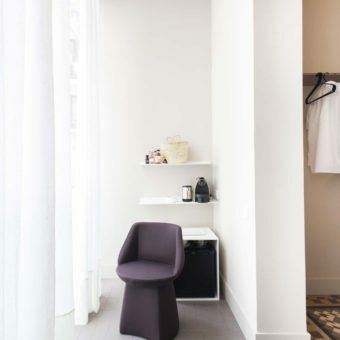 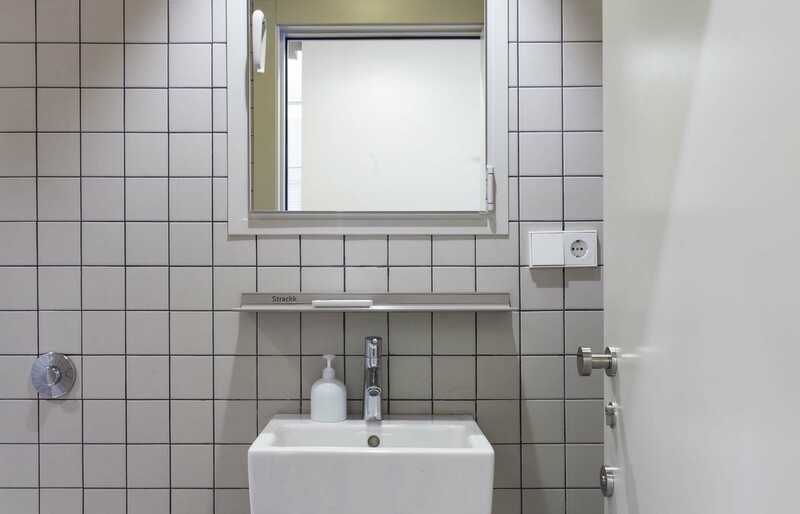 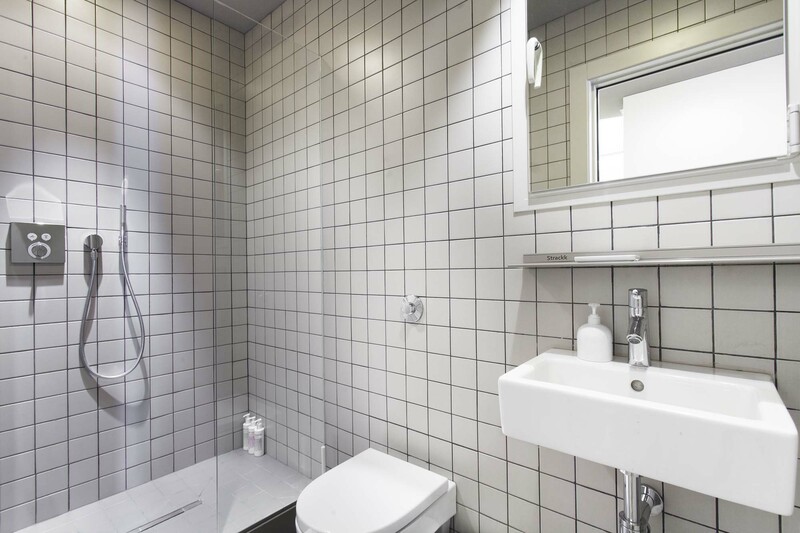 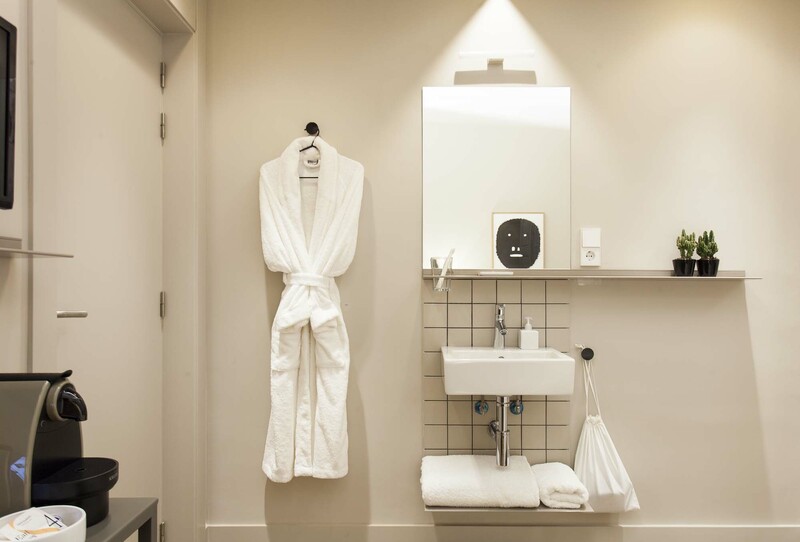 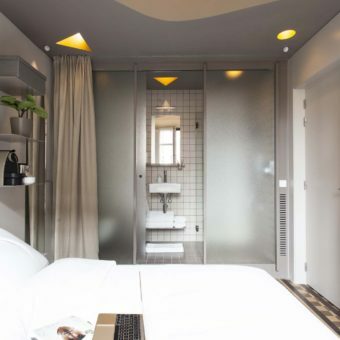 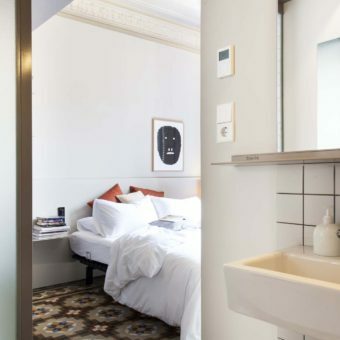 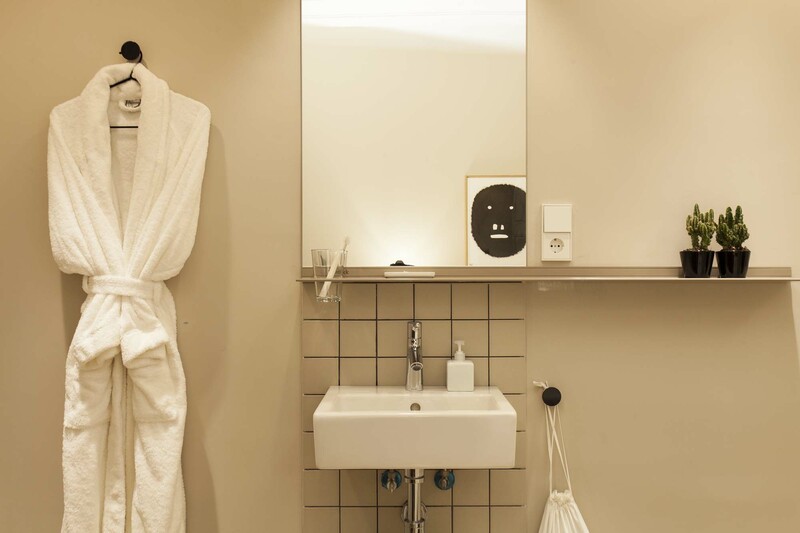 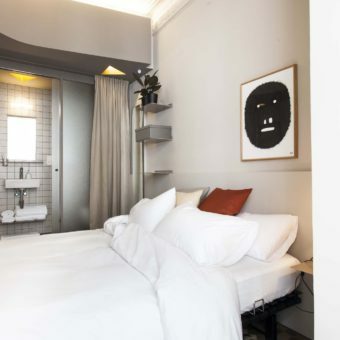 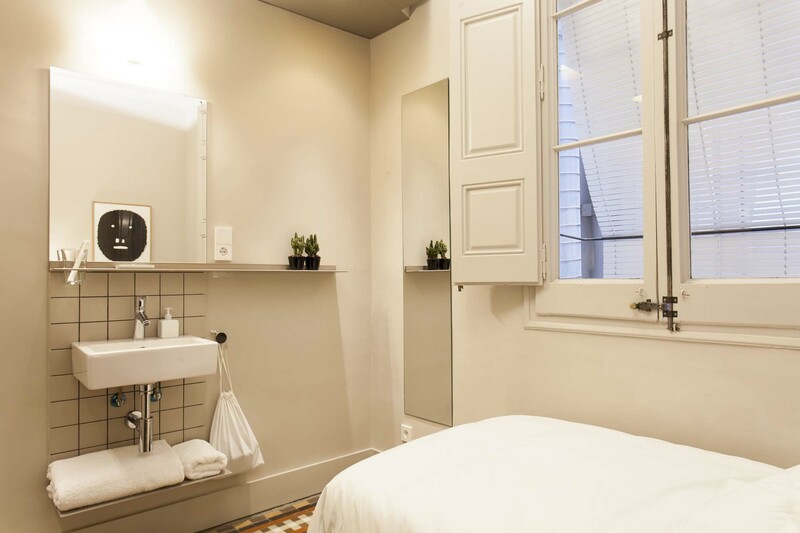 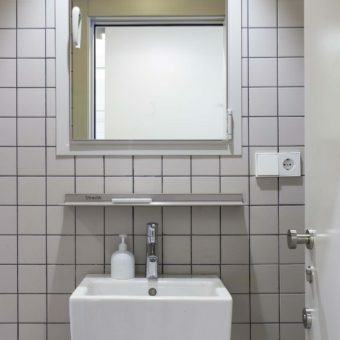 It’s ideal for those relaxed about sharing a bathroom and that prefer to stay somewhere design-focused and central in Barcelona city. 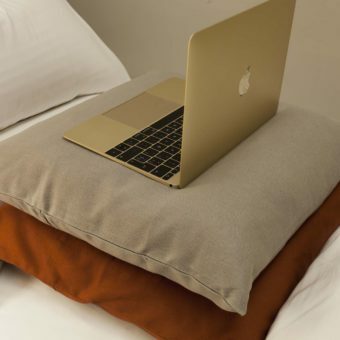 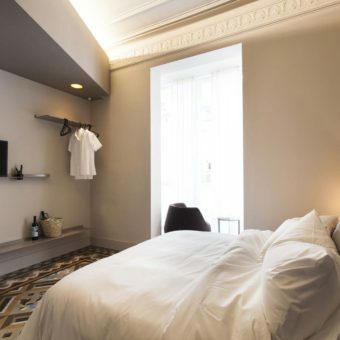 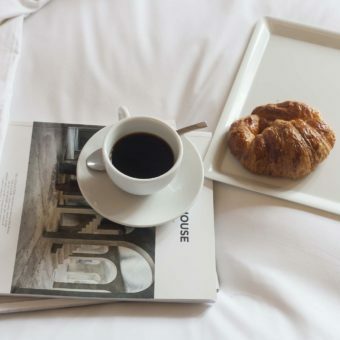 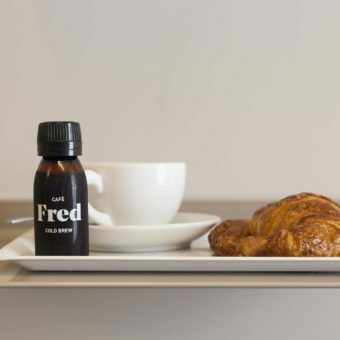 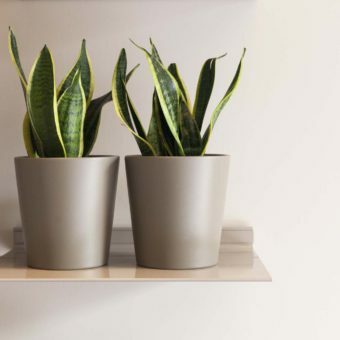 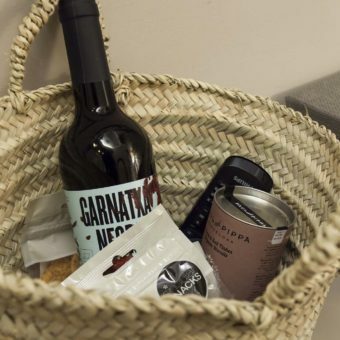 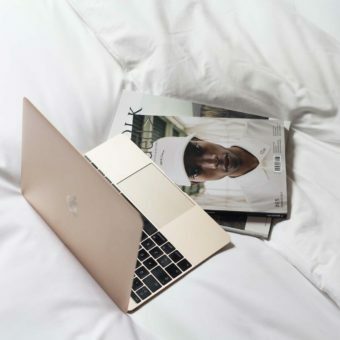 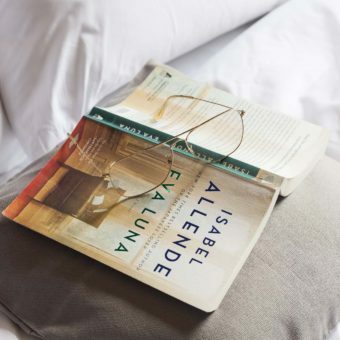 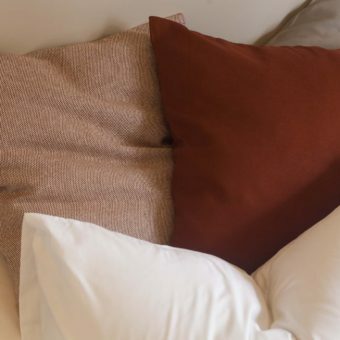 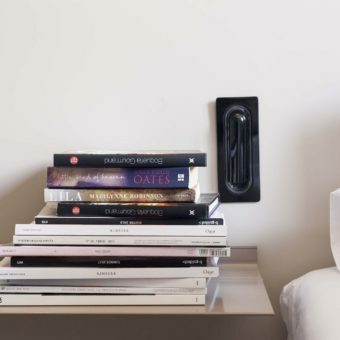 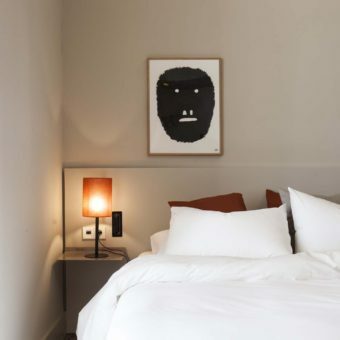 No detail has been spared, as there are curated items carefully sourced to provide a boutique stay. 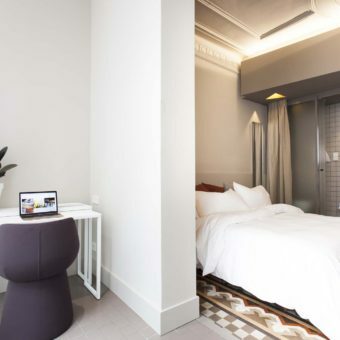 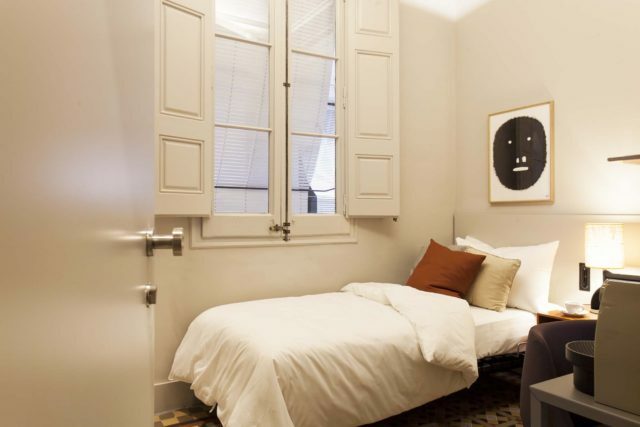 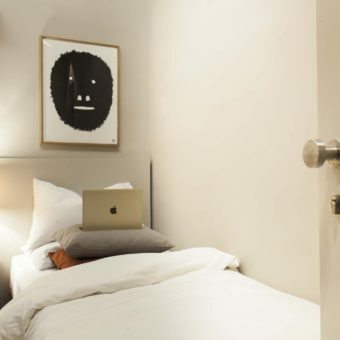 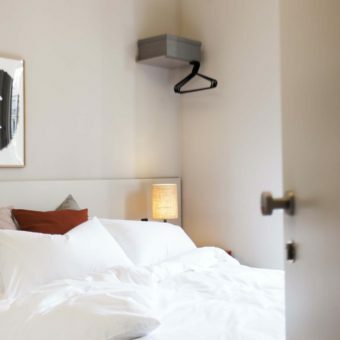 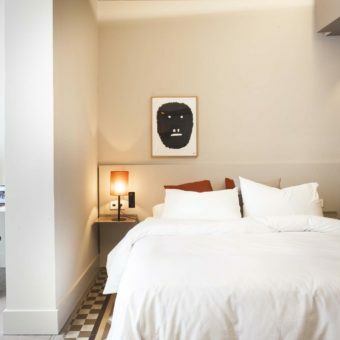 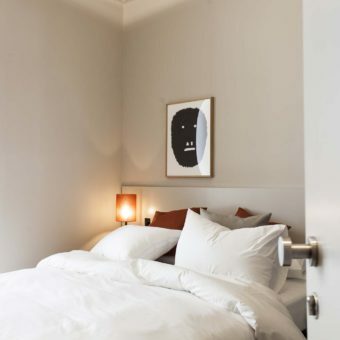 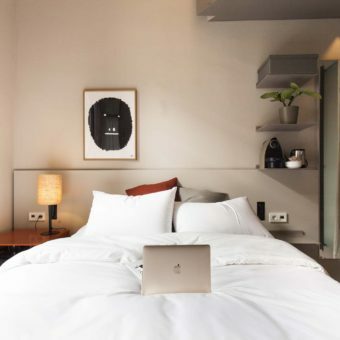 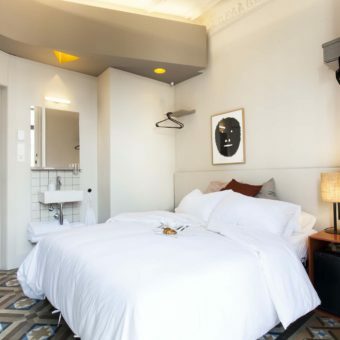 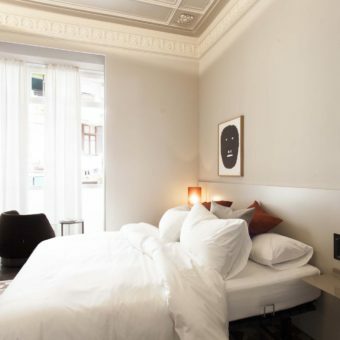 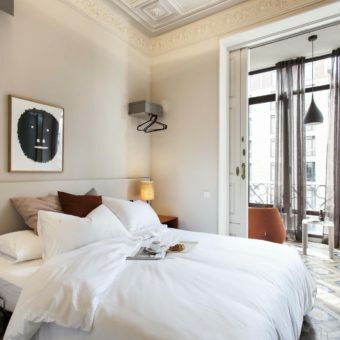 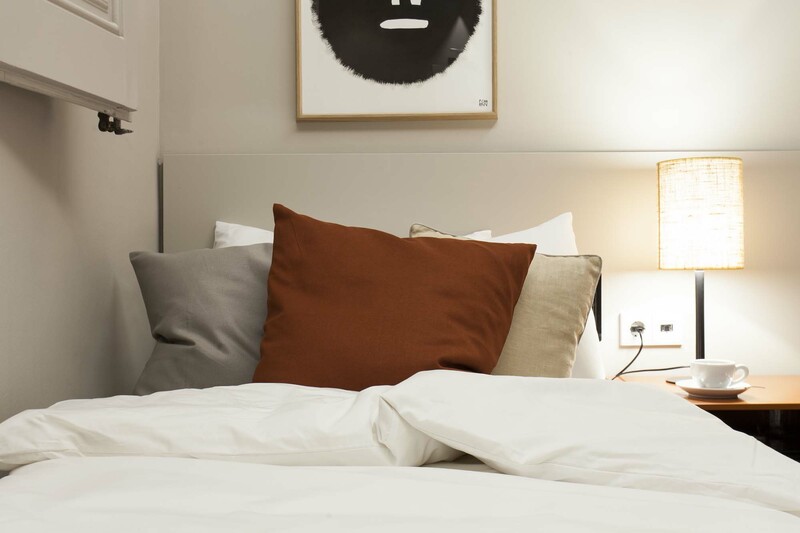 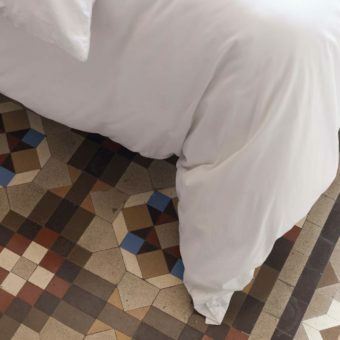 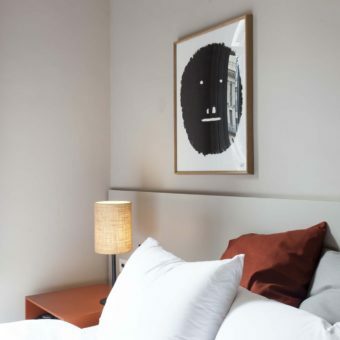 You will find a high-quality Swissflex bed, iconic original mosaic floors reflective of Catalan modernism and a quirky monkey print by artist Pierre Charpin. 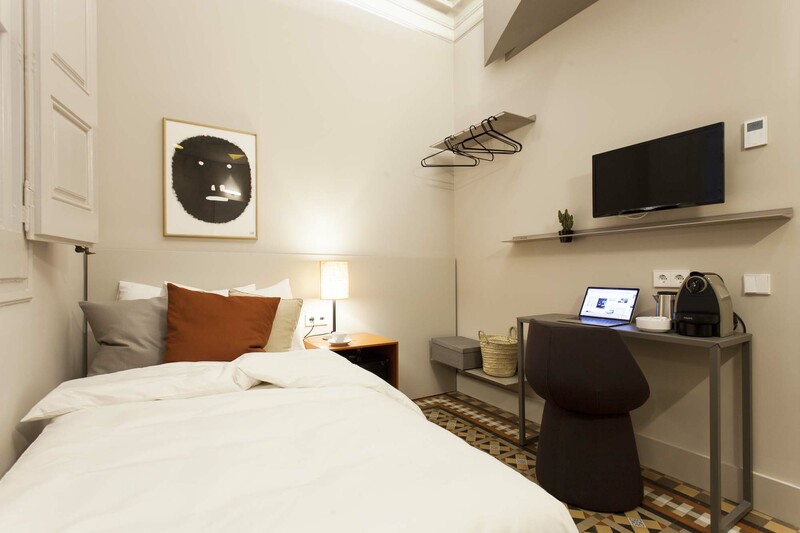 Not to mention, the Apple TV with a pre-selection of movies and music as well as tea and coffee in your room. 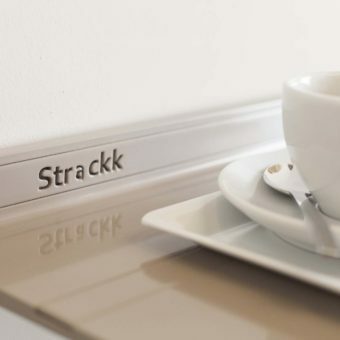 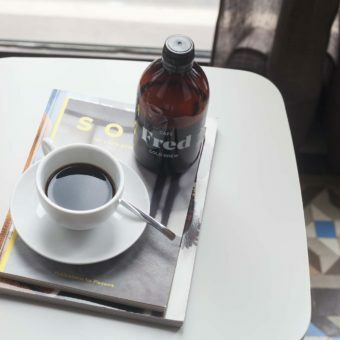 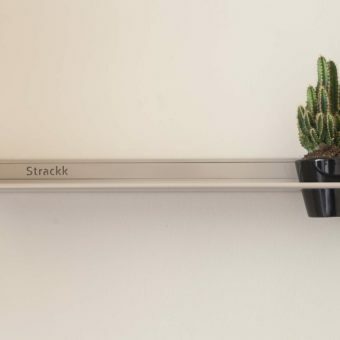 You’ll even find some coffee capsules in the room for you to enjoy your brew. 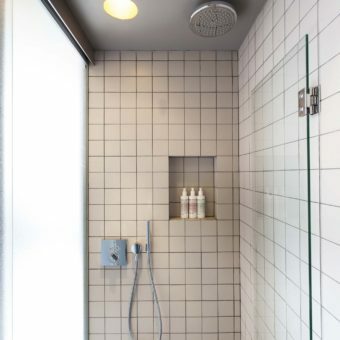 The bathroom is shared and is equipped with a rain shower. 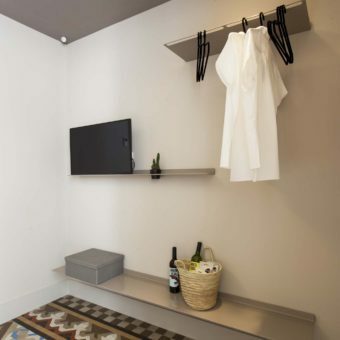 To ensure we fully cover the modesty of our guests, we have provided a bathrobe and slippers. 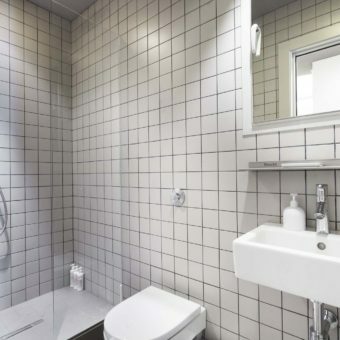 Note that the bathroom is only shared with one other room. 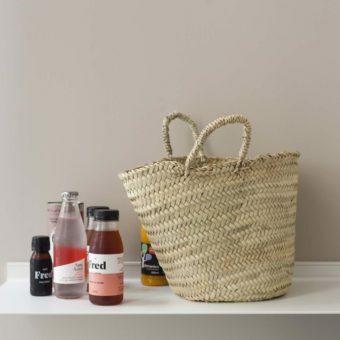 Gentle and natural products by modern apothecary brand Malin+Goetz are stocked for you to spruce yourself up and refresh. 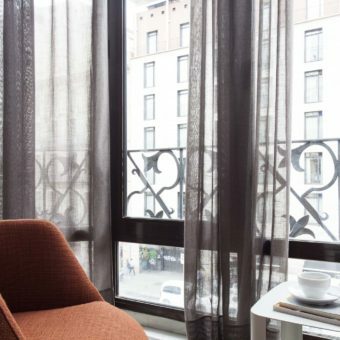 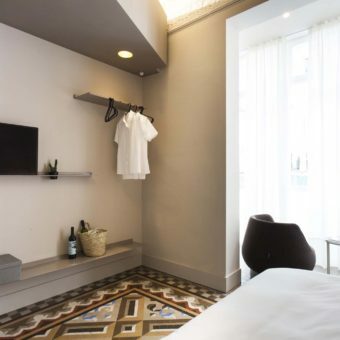 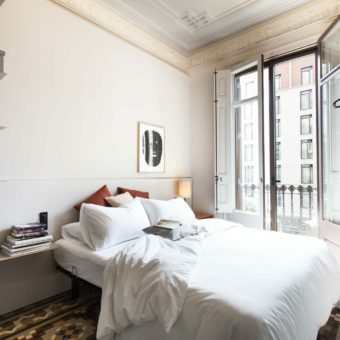 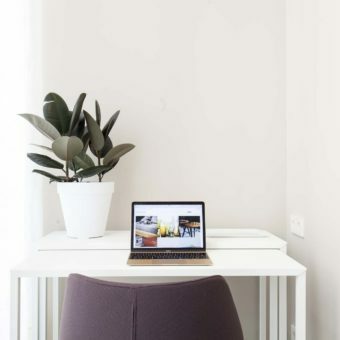 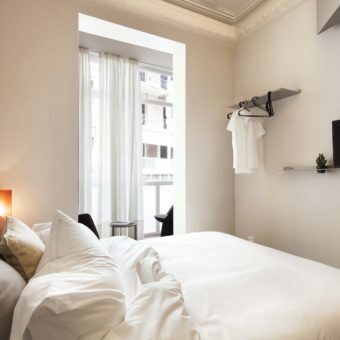 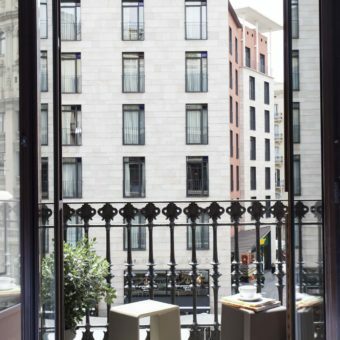 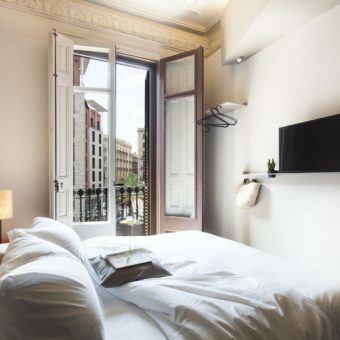 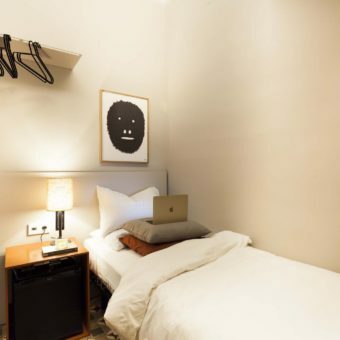 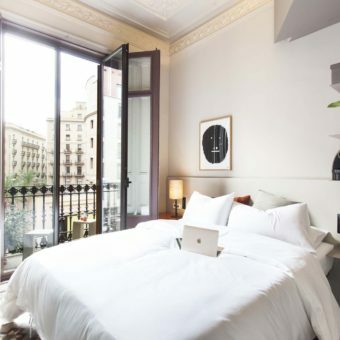 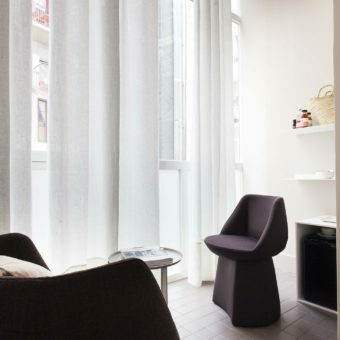 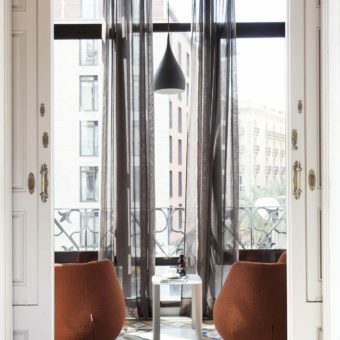 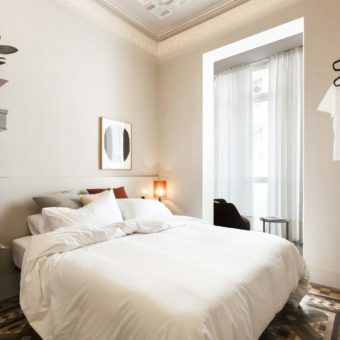 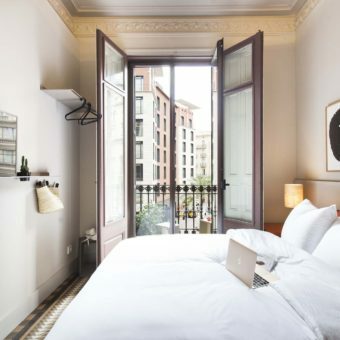 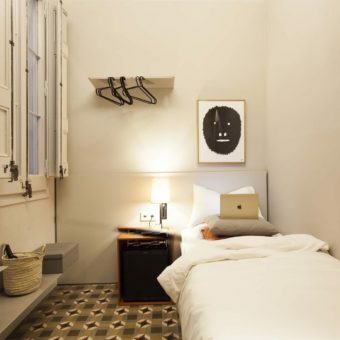 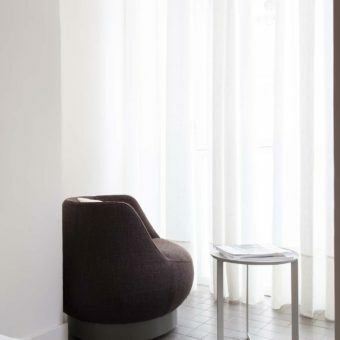 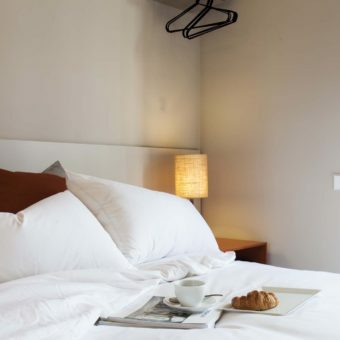 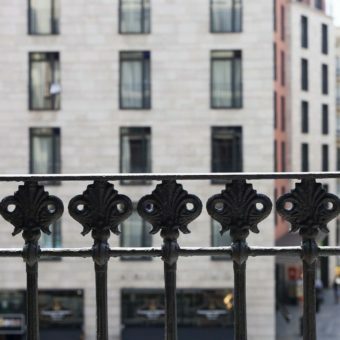 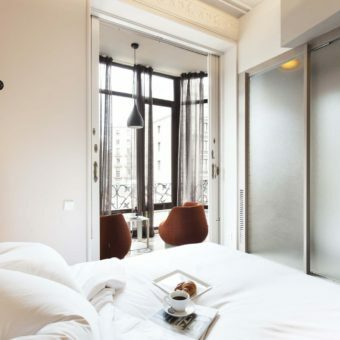 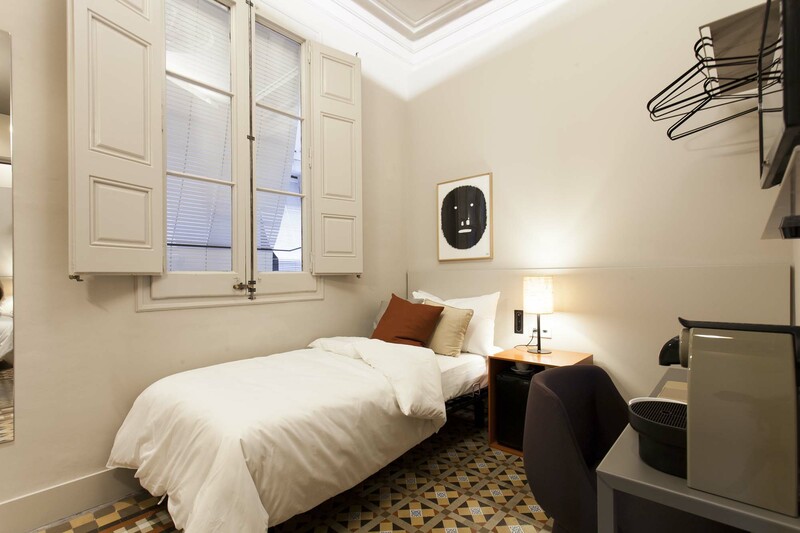 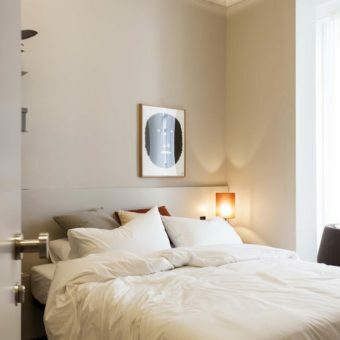 Room #7 is situated just by the popular and vibrant areas of Eixample, Gothic, Raval and Ramblas.